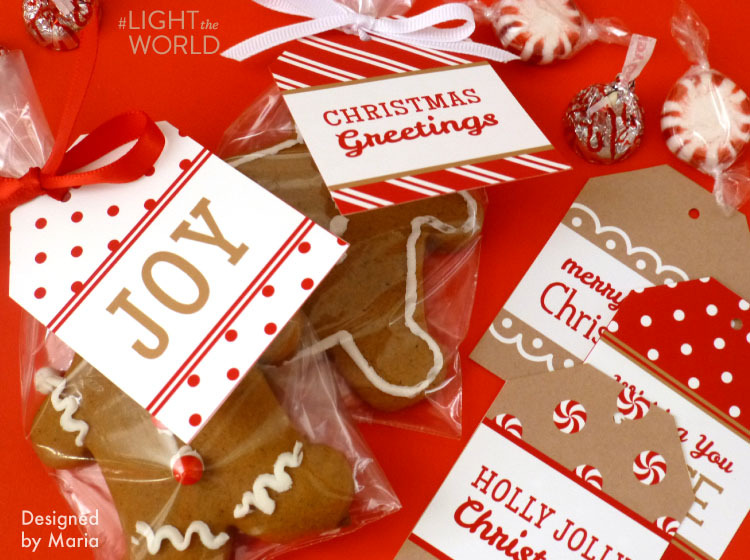 I have the CUTEST free Christmas printables for you! 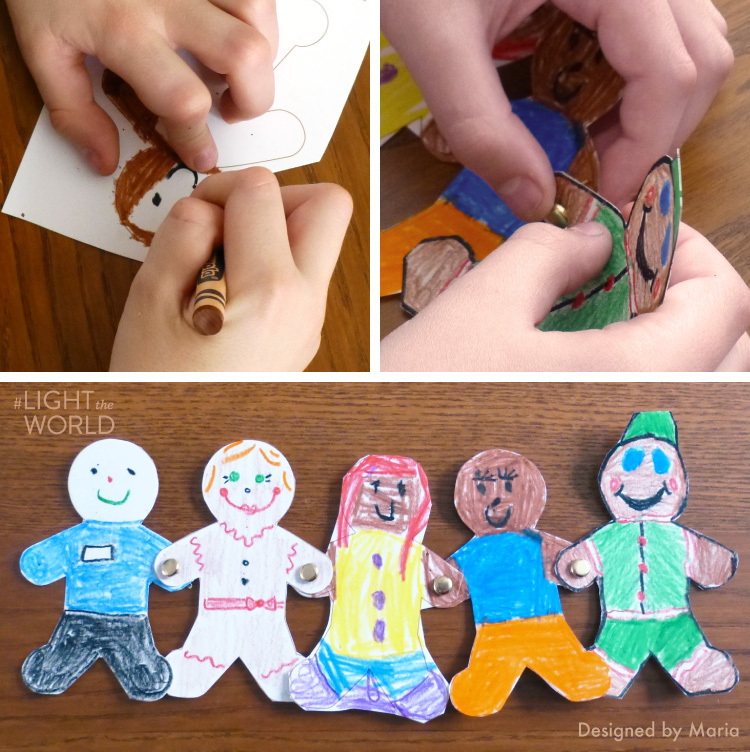 This is a gingerbread service kit created by Maria from Designed by Maria, as a part of the mormon.org campaign to #LIGHTtheWORLD. The idea is to spread love and kindness during the holidays by serving anyone you want in any way you want, starting with the Worldwide Day of Service on December 1st. With this cute little gift kit, you can join the fun by making service easy! 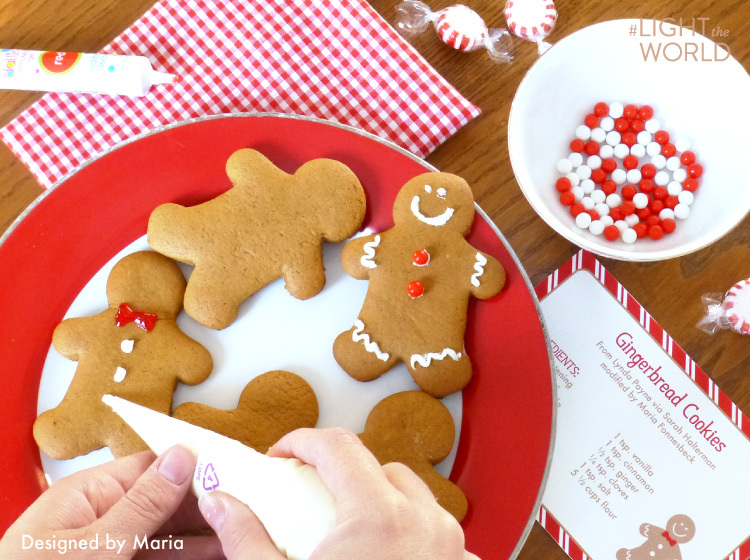 These FREE gingerbread printables and delicious gingerbread cookie recipe are just adorable. (You’re going to die of the cuteness!!!) 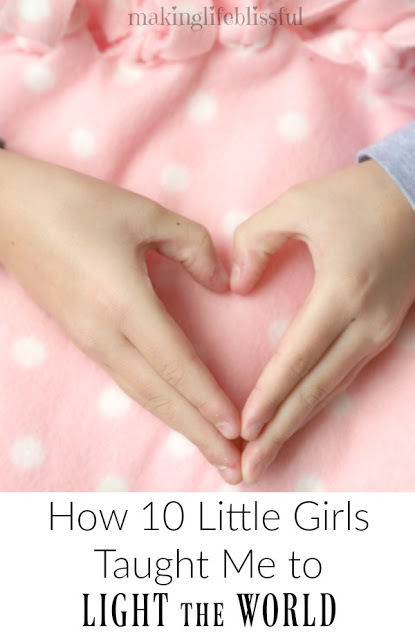 All you have to do is print out the printables, whip up some cookies, and drop them off to your neighbors! 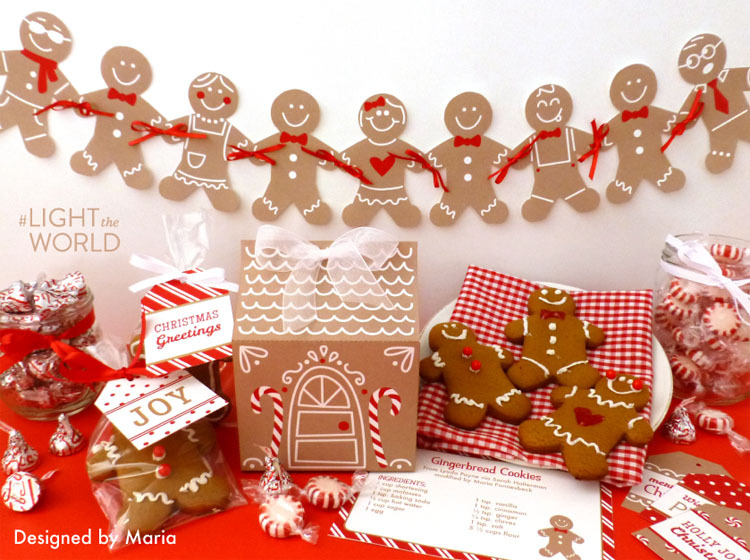 This gingerbread kit includes a printable gingerbread house, gingerbread garland, and more. 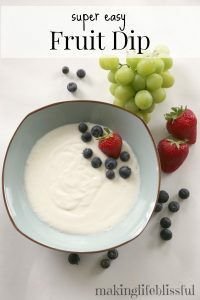 You can find more printable goodness at The Red Headed Hostess too. 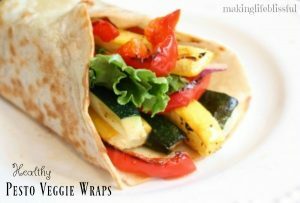 Use the Activity Outline for a family-friendly discussion and service activity. to spend time together serving. Let the spirit of Christmas fill your home. hands together to create a gingerbread garland. frosting! Encourage your family to make a cookie for someone else too. Here’s how you assemble the gingerbread box. 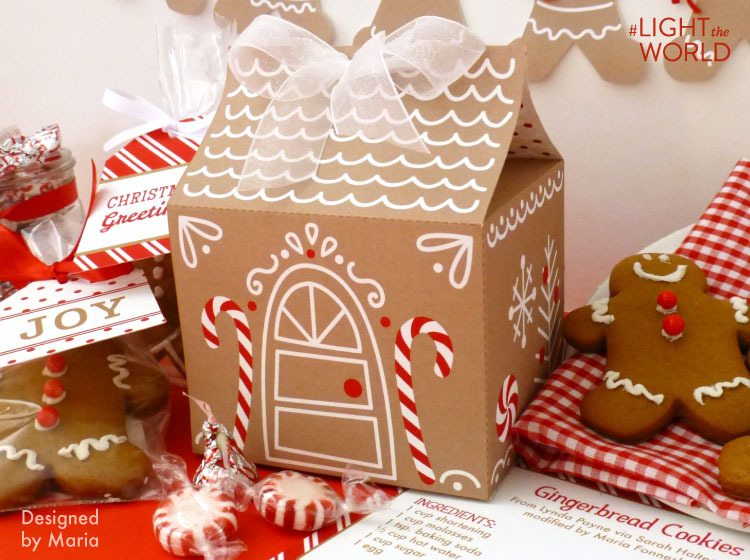 This printable gingerbread house could be used for many things. 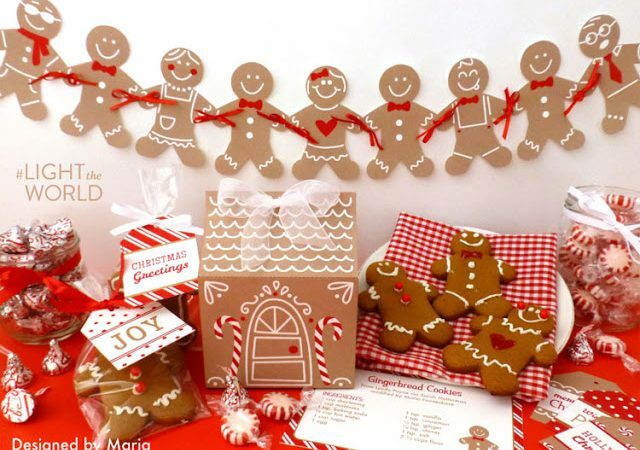 For every person you serve, add another gingerbread person to your garland. 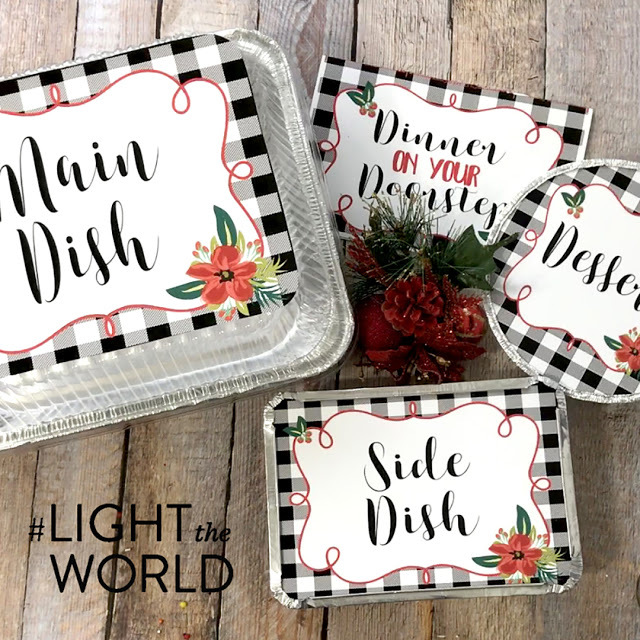 Watch your garland grow as you do your part to LIGHT THE WORLD through service! I hope this helps your family spread some kindness and love. Don’t Miss the BLISS! 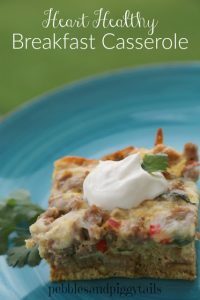 Join our bi-monthly newsletter! Merry Christmas my blissful friends!